Slot machines are the ubiquitous fixture in all casinos. It just wouldn’t be a casino without one. These babies are the ultimate no-brainer game of chance for the gambling neophyte. It’s as simple putting your bet in and pulling the lever (or in the online variety’s case: hitting the button) and watch the three reels spin. Increase your money credits as you rack up patterns from the many symbols. By far still the most famous game in real casinos, the online version is just as popular. 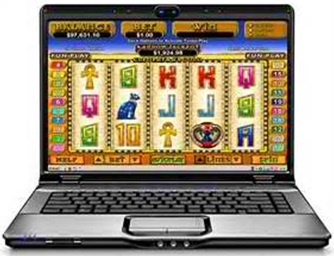 Hint: check out how much the payout is for the online casino to see your chances with their online slot game. 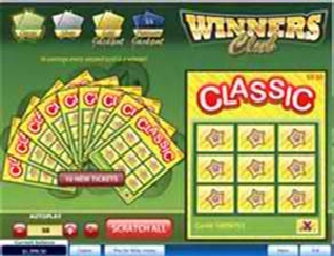 Just like the Slot Machine, the Scratch Cards have made their way into the electronic world. The online version works very much like the cardboard cards (with the scratching done via your mouse). You need to come up with combinations in order to win. It’s an easy enough game that doesn’t need a lot of brain power to comprehend. The chances of winning are all in lady luck’s hand. But it’s still enticing enough because of the relative ease and low cost involved. Roulette, in its many forms and iterations, have been around for quite a long time and still remains one of the most beloved casino games. 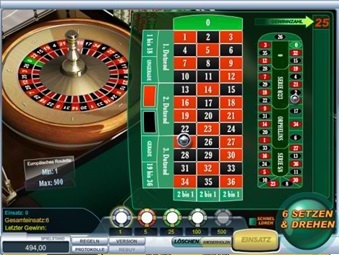 It can be intimidating for inexperienced betters but roulette is actually a very simple game of chance. All you need to do is to place your bet on a number or color. The croupier spins the Roulette wheel (all digital in this case) and the ball lands to a slot with a corresponding number and color then you win. You win if you bet on the correct number of color. It’s simple but provides heart-stopping fun (if you win, that is). If you like buying sweepstakes and playing bingo then Keno is the casino game for you. It’s as simple as marking your bets on a piece of card. After you’re done marking your bets, a set of 20 balls will be drawn. The more numbers you match from your card to the drawn balls, the bigger your winnings. 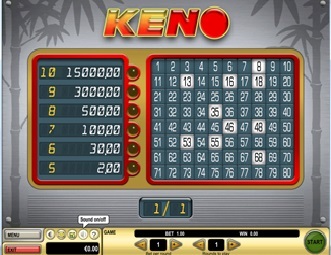 Keno, along with Slots, is especially popular with the older generation. So don’t feel daunted by the hundreds of games on offer. You can start off with these games so that you can get the feel of things. Once you’re comfortable with placing bets then you can move on to the big-boy games. But there’s really no shame in playing these casino games or they wouldn’t be considered by so many casual players as their favorites.